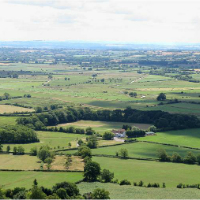 Following the dismissal of an Enforcement Notice Appeal, seeking retention of a 2m high boundary wall within an Area of Outstanding Natural Beauty in Somerset, Tetlow King Planning were successful in negotiating a full planning permission for the partial retention of the unauthorised works. The Inspector had deemed the wall to be unacceptable due to its adverse impact on the character of the AONB. A two storey side extension was agreed which reduced the length of the wall by one quarter. In addition, it was agreed to partially reduce the height of the wall in two sections to reduce its overall visual appearance. Despite the Council originally objecting to the proposed materials it was successfully argued that the Inspector did not object to the appearance of the wall just its impact. There was therefore no need to alter the materials. It was finally agreed that works should commence on the reduction in height of the wall within three months to ensure that the original Enforcement Notice was not enacted. © Image copyright Arpingstone and licensed for reuse under this Creative Commons Licence.